With a focus on accessibility, speed and flexibility, we offer the following products for our payment systems. A cash register system comprises several different units that can be tailored to your business. We offer a total POS-solution that make it easier for companies that demand flexible payment options. If you plan to drive sales in your business, a cash register system is a requirement for sales. Open is a certified control unit, which a cash register system must be connected to. There are several factors that weigh in when choosing a cash register system. The systems are available in different designs and are suitable for different types of operations. In addition to paying for products and services, there are payment solutions where you can add stock status, orders, table bookings and customer records. Perfect if you work in the restaurant industry. An Open POS-system is easy to use and will help you save time. If you have a small business, a cash register and a payment terminal can sometimes be enough to invest in. Our systems give you the option to offer payment with Swish, Apple Pay and Samsung Pay. 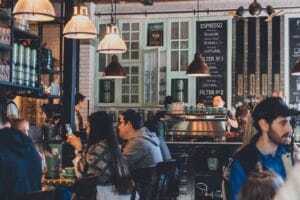 TablePay and MultiPay are two features invaluable for employees. Buying cash register systems can be a big investment and it is important that the products you choose help to streamline and simplify your work and create a smooth payment process. If you are unsure of what you need, you are welcome to contact us and we will help you with a suitable solution. We also offer rental of cash register systems and payment terminals for the businesses that need to payment solutions for a shorter period. Contact us below to hear more about our payment solutions for you company.